NOW - Stage 8 FOR SALE "off the plan". After an incredibly successful stage 7 where 12 of 14 sites were sold off the plan prior to infrastructure being completed, stage 8 sites are now officially available. It is expected that stage 8 roads and services will be complete by July 2015 and settlements will take place around August/September once titles are available. There is some great diversity of sites available including 6 sites that are just short of the 1/4 Acre, 3 stunning elevated wetland fronting sites and 4 beautifully elevated sites fronting a landscaped reserve. A short stroll north from stage 8 will lead residents to the Aquatic Centre, Health & Wellbeing precinct and café or a 10 minute walk south along the wetland path will lead you directly to the soft sanded swimming beach of Chiton Rocks. March 2015 - Councils sign off on architectural design of Aquatic Centre. 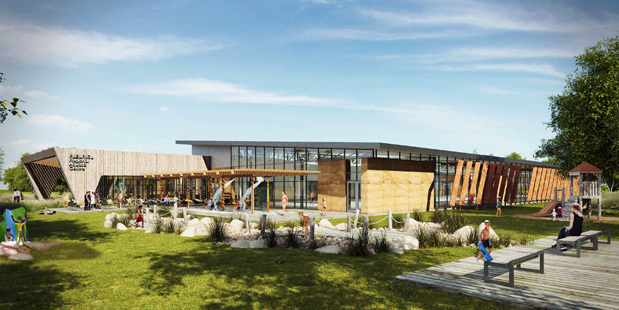 The final designs of the stunning Fleurieu Regional Aquatic Centre (FRAC) have now been approved by both the City of Victor Harbor and the Alexandrina Council. It is incredibly exciting news for Beyond residents and the wider community. The pool will include a 25m lap pool, warm water exercise pool, kids play pool, outdoor water play area, multi purpose space for gym or conferencing, a creche and a café. The design of the Aquatic centre has focused keenly on sustainable and energy efficient principles and will prove to be a beautifully articulated, contemporary and highly pleasing aesthetic blending perfectly with the architecture of Beyond and the natural surrounds. Our team at Beyond are continuing the plans for a health and week being precinct adjoining the pool location and progress has been very positive. More news to come shortly! January 2015 - Beyond increases donation of land to community from 2HA to 4HA. Many years ago Beyond offered to donate land to the local community for the construction of a regional indoor aquatic facility. For over 30 years such a facility had been in high demand until a recent survey of Fleurieu residents ranked it the highest priority of members of Victor Harbor & Alexandrina Council areas. After many years and independent reports analysing appropriate locations, the joint Councils re-approached us to see if our offer still stood. We were happy it did, however in recent developments the initial offer of 2 hectares of land has now doubled to become 4 hectares. The 2HA addition to the initial offer will help provide a much better outcome for accessibility, aesthetics and energy efficient function of the facility. October 2014 - Already over 100 bird species at home in Beyond! We are very excited to confirm we now have over 100 species of birds sighted and listed within the Beyond residential and wetland environments. Early in the project the bird species were surveyed at 12 common types over what was purely grazing land. With the help of local bird-watcher Winston Syson and a number of bird watching enthusiast Beyond residents we can confirm another 90 species have been attracted back to the area. With the regeneration of the ecosystem which included over 250,00 plantings and the creation of new wetlands that hold a capacity of over 350 million litres of natural stormwater, our ambitious goal was to achieve a target of 120 different bird species. We are well on the way! Easter 2014 - South Coast Constructions open stunning new display home. One of Beyond's preferred builders, multi HIA & MBA award winner, South Coast Constructions opened their stunning new display home "The Kelsey" over easter weekend. A beautiful home designed to specifically showcase how to deal with allotments on gradients. All primary living and garaging can be found on the upper level with guest or children living provided on the lower level. Gorgeous views are enjoyed from all living spaces as well as most bedrooms and the home has been finished immaculately. 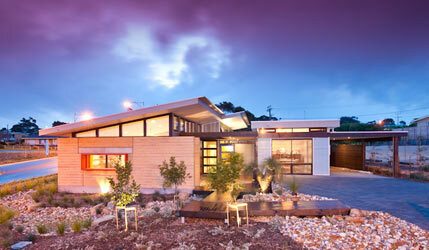 Of course the home also showcases the many energy efficient and sustainable design principles of Beyond. Already generating plenty of interest this new display is a must see! Undoubtably Beyond's best blocks are here. Stunning elevated wetland fronting sites, the last 5 to be developed within Beyond, easily share the most stunning outlooks of any of the sites that have been developed within the project. In addition the first quarter acre sites and largest blocks to have been released are also now available. Every site in stage 7 shares at least one boundary with a reserve with many sharing two boundaries with open space and landscapes. The most spacious and desirable sites are available now, off the plan, with no settlement required until August 2014. Better take a look quickly before they all go! Capping off an amazing fortnight, ESD and partners KeyInvest were awarded as the best sustainable development in SA at the recent UDIA award ceremony in Adelaide. This is the third significant UDIA award won for the design and development of Beyond/Chiton for ESD. We have now been nominated in the UDIA national awards to be held in March 2014. Chiton Retirement Village and it builders South Coast Construction were awarded 2 construction awards at the HIA Gala evening in late October. Particular comment was made regarding the attention to detail of the designs that were providing "an amazing space in which to live". Function, natural light and warmth, ventilation and relationships with open space and landscaping were unique factors that had the judges excited about this construction project. South Coast were also well regarded for their finish which demonstrated quality eel above the norm for retirement dwellings. 4 years after being awarded for sustainability by Brand SA, ESD has done it again! 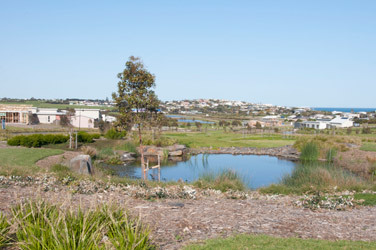 Recognised for the design and development of the new 'Chiton Retirement Village', the continued development of the stunning 64 hectare wetland ecosystem and further progressing Beyond, ESD was chosen above some fantastic South Australian businesses all doing some amazing work with Sustainability as a clear focus. "We were very proud to be recognised a second time for working in a field we are incredibly passionate about." To add further significant momentum to the development of the Fleurieu Regional Aquatic Centre The Alexandrina and Victor Harbour Councils were successful in receiving $7.5M of Federal funding for the project. This represents a huge win for the region and a great boost to the local economy. The recent concept designs include a 25m, 8 lane lap pool, a hydrotherapy pool, gym, kids pool and play area and a cafÃ© facility. 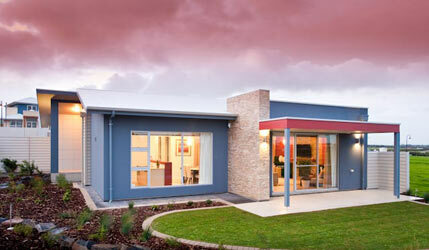 Chiton Retirement Village is officially opened with the completion of the first 10 self contained retirement homes. ESD, developers of Beyond, have partnered with Key Invest and created Australia's first retirement village designed entirely around sustainability and energy efficiency. Located in the south-west corner of Beyond, Chiton will at completion house 86 retirement dwellings and a state of the art community centre overlooking the stunning Beyond wetlands. Already 3 of the units have sold and keen interest is flowing in on this new modern and energy efficient retirement option. With Over 25 years of significant community demand the Southern Fleurieu are finally going to get their desired indoor swimming facility. Understanding that community pools are costly to run, the ESD team began a vision that would finally pull together the resources to get the project underway. We felt the location of Beyond, being the boundary between the two local councils, Alexandrina & Victor Harbor, would be the perfect location for both councils to feel comfortable with a jointly funded swimming complex. We therefore donated 2 hectares of suitable land in the hope that this might provide the councils with the motivation to get the project started. After numerous meetings, a public consultation period and an in depth study on suitable locations within the region, it was agreed that Beyond was the best site to pursue the project. Both councils then announced that the Fleurieu regional Aquatic Centre was officially under design and development. In very exciting news, the Chiton Retirement Village is well underway at Beyond. Environmentally Sustainable Developments (ESD), developers of Beyond, have partnered with Key Invest (the old IOOF) to bring a new age of retirement village to the marketplace. 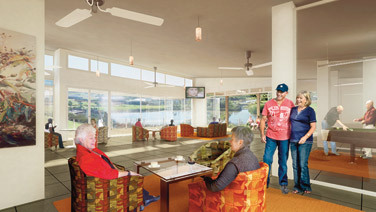 The first stage of Australia's most sustainable retirement village is well underway. Civil works are now complete and the first 10 retirement homes will be under construction in early January. Each home within the new village will be built to energy efficient standards never seen before within the retirement village market. With the rising cost of living ever apparent, each home is designed to live incredibly efficiently whilst providing a healthy, light and comfortable lifestyle for retirees. The early reception to the village is unprecedented with 7 of the first 10 retirement homes already reserved. For more information on the new development contact Adam Wright on 0412 620 022. It's always nice to spend time in the great outdoors, but now eagle-eyed residents at Beyond Today can watch nature in action from the convenience of their doorstep. We often have renowned bird watcher Winston Syson spending time around our wetlands and in early-November he spotted an amazing 45 different species of birds - a remarkable outcome for one site in one day. These outstanding results are even better when you consider that our wetlands are less than three years old but already the area has become home to Baillon's Crake, Australian Spotted Crake, Little Grassbird, Glossy Ibis and the Collared Sparrowhawk. With numerous species breeding on site the total bird species count is now up to 75, and Win was particularly excited to also spot the Sharp Tailed Sandpiper and the Black Winged Stilt. If you are a keen bird-watcher, why not pack a picnic lunch and make a day trip of it and see how many bird species you can spot! It's been a big year for the Beyond Today development, which is increasingly being recognised for the outstanding work that is being done to create and protect the natural landscape environment. 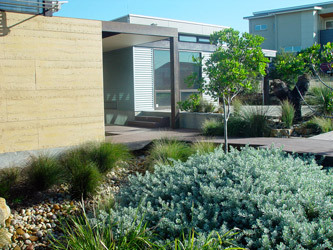 In June the Beyond development received the top four accolades at the Landscape Association of South Australia Awards. Beyond Today took out the Landscape Residential Design for a garden over $100,000, Most Environmentally Sensitive Project, ABC Gardening Award of Excellence and the over-all Judges Choice Award. 2/4/11- Stage 6 release available now. Stage 6 of beyond is being publicly release today the 2nd of April 2011. A fantastic selection of sites are coming available including some large blocks with great relationships to reserve and park areas. Almost every site within the stage shares at least one boundary to a reserve while some prime locations sit elevated above the wetlands or atop the development with views across the wetlands to the ocean. Click here to view the sites that are now available. ESD Sales and Marketing Partner Adam Wright said it was an honour to be recognised among others committed to positive and sustainable urban development. "Beyond Today at Hayborough near Port Elliot is a development committed to having a positive impact on its environs and the community," Mr Wright said. "That is why we have regenerated what was once degraded farmland by planting 250,000 native trees and shrubs and implemented an extensive wetland system." Beyond Today is part of a 90-hectare parcel of land bought by ESD of which 64 hectares has been transformed into wetlands and native forest. In its comments on Beyond Today, the Australian Civic Trust recognised the personal commitment of the Wright Family in all aspects of the design, development and management of the project, adding that it was 'truly meritorious'. To be awarded in the General Category a project needed to assist in the civic and natural environments, be sustainable and improve the accessibility, quality and cultural sensitivity of the public realm. "The design of houses has a modern contemporary form, reflecting best practice in energy efficiency and conservation," the Trust cited. "The civil design features water sensitive urban design in one of the best studies in greater Adelaide." Beyond Today is a multi-award winning environmentally sustainable development at Hayborough, Port Elliot, one hour south of Adelaide. The unique development was established in 2007 and is setting a new standard in quality environmental living and changing the way we look at the future. Last night at the BPN (Business Product News) National Sustainability Awards held in Sydney, Beyond won the Landscape Award for the construction of the 64 hectare wetland environment. The Judges said "We were incredibly impressed by the commitment to regenerating what was previously a baron and denuded farming property. This project represents a very unique proposition that has considered environmental aspects through every facet of design." 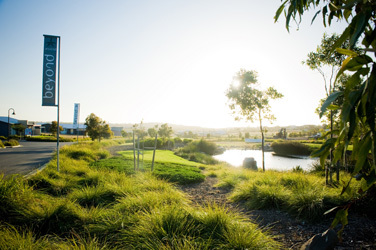 The landscape design at Beyond not only incorporates the wetland and revegetated areas, almost half of the residential area is park and reserves also, creating micro-climates that assist each home in achieving comfortable living environments using the least amount of energy. The department of Environment and Heritage have begun rescuing rare and endangered native fish species, such as the Pygmy Perch and Spotted Gudgeon, from natural habitats that have become over-polluted or saline due to drought. these fish are now being relocated to the Beyond wetlands which have been recently tested and rated and some of the healthiest in the state. "At Beyond we are extremely proud that our constructed wetland environment has proven to be the ideal place to relocate these endangered fish species. 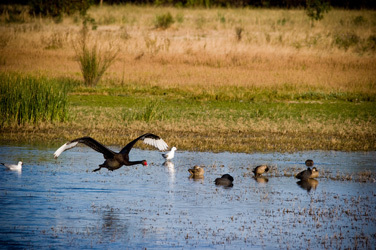 Along with these introduced native fish, thousands of birds, frogs and other species (including kangaroos) have already made their way to this re-vegetated environment" says Steve Wright, developer of Beyond. Only days after pre-releasing the fifteen new sites in Stage 5, six of the new allotments had been contracted. Infrastructure of the stage 5 & 6 release is due to be complete in late September. 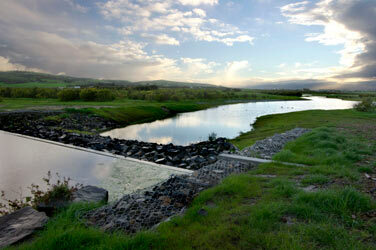 Stage 5 boasts some of the most stunning sites within the development. Every site shares at least one boundary to a reserve whilst enjoying views either into the wetlands or to the ocean. Direct access from Beyond to the stunning Watson gap estuary, Chiton Rocks and Boomer beaches has now been completed via the Port Elliot Road underpass constructed by the developers of Beyond. The underpass links the Beyond 1.8km wetland walking and bike trail to the victor harbor/goolwa bikeway and to the best swimming beach in the region. Only 200m from the development this beach offers surf at one end, family swimming at the other and provides gorgeous strolls through the soft sand. Soon a local youth art project will begin to paint their graffiti art on the entrances and through the tunnel. Residents at Beyond are already enjoying a daily walk along the beautiful wetlands, through the underpass to the beach or into Port Elliot for a coffee & a cafe breakfast. On October 30th 'Beyond Today' was awarded for excellence in 'Residential Development' by the Urban Development Institute of Australia (UDIA SA). The development industries leading body, recognised Beyond for forward thinking regarding sustainable outcomes and the 'generous vision' of developing a community with the benefits of so much open space. Beyond received the 'Award for Excellence' for 'Residential Development 50-600 Allotments', however no development was awarded in the category for developments larger than this, placing Beyond head and shoulders above the rest of the developments in South Australia for 2009. The best four award winners from the night were then selected by the UDIA(SA) to go on to the national awards that are to be held in Sydney in March 2010. Beyond was also selected within this successful group of four to represent South Australia in the national awards. The 10th Annual SA Great regional awards were held last Tuesday the 10th of November to recognise the top achievers within the Fluerieu and Kangaroo Island regions. Environmentally Sustainable Developments (ESD) won the award for 'Sustainability' for the Beyond project. "In a clear statement of their environmental principles, ESD have demonstrated through the Beyond project, that developing a residential community can be done in a way that actually benefits the surrounding environment and its ecosystem. Creating a place to live that is like no other." The Beyond Sales and Information Centre was awarded by the Housing Industry Association (HIA) for most 'Energy Efficient Housing' and 'Sustainable Housing' at the 2009 awards night a week ago. 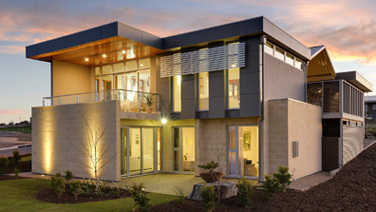 The Beyond display home has been designed as a best practice example of sustainable design principles and product selection. It demonstrates a home that will never receive a bill and is completely self sufficient with regard to energy and water. In fact the home should return approximately $1200-$2000 per annum for energy fed back into the grid. Product selection and building techniques throughout the home represent some of the best performing options within their respective fields. "Throughout winter the home remained incredibly warm with minimal demand on energy and right now, during a 10 day heat wave, the internal temperatures have remained very comfortable with absolutely no air conditioning." Last week Bailey homes won four Housing Industry Association (HIA) awards for an outstanding year of quality building work. Three of these awards were for their work within the Beyond display village. 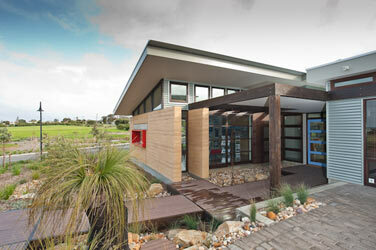 The first award, for their own display home, was for best 'Light Weight Construction'. Both other awards were won for the construction of the Beyond Sales and Information Centre, including the major Greensmart award for 'Energy Efficient Housing'. South Coast Constructions won 'Master Builder of the Year' at the Master Builders Association (MBA) Awards a few weeks ago. A big part of South Coast winning this award was due to their clear direction as a builder to move in a more sustainable direction. Over the past 6 weeks South Coast Constructions have won 3 MBA awards and a Housing Industry Association (HIA) award for their constructions. Two of these awards were for their Acacia display home within the Beyond development. 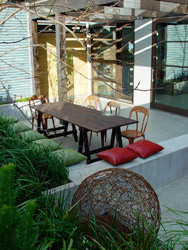 This follows their HIA Greensmart award for the Acacia in 2008. Over the weekend Australia's most ecologically sustainable display village was opened at Beyond on the south coast of SA. 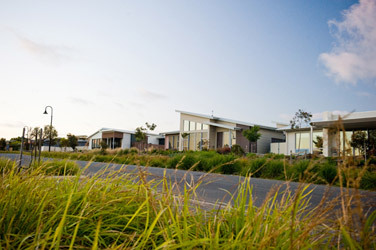 The five home display village, situated between Victor Harbor and Port Elliot, demonstrates best practice design principles and product selections to assist homeowners in reducing their ongoing living expenses. A range of modern and contemporary designs showcase homes that range from very efficient options to completely self sufficient dwellings. The development itself has been designed specifically to make building energy efficient homes simple. Each allotment has its own building envelope, which ensures no neighbour will ever overshadow living spaces from winter sunlight, whilst also protecting view lines. And almost every site shares at least one boundary with a reserve, creating an amazing sense of space, while providing micro-climates that create more comfortable living environments for residents. At the annual Urban Development Institute of Australia (UDIA) Awards last week, Environmentally Sustainable Developments (ESD), developers of Beyond were awarded for 'Environmental Excellence', in particular for water sensitive urban design and management.